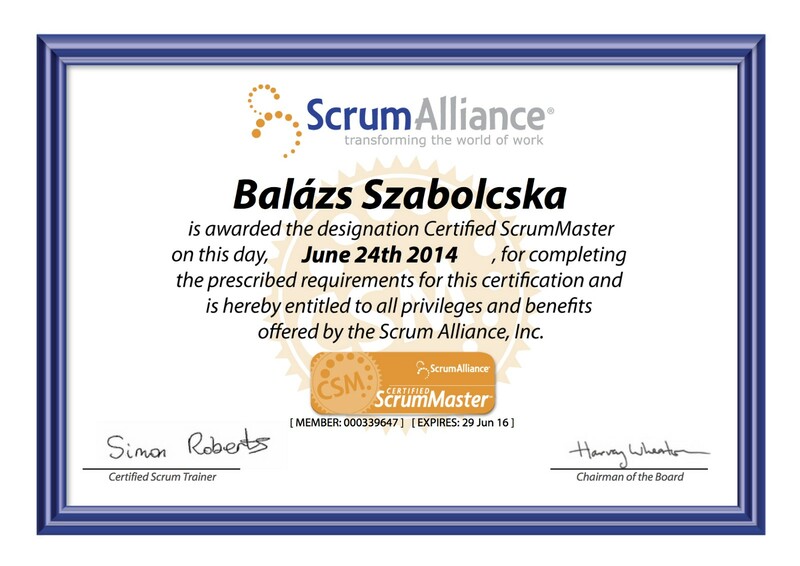 I can produly present I have become a Certified ScrumMaster last month after completing a course and the corresponding exam. Now what does that actually mean? Scrum is an agile software development framework that helps teams to better organise and manage the product development process. Preparing for change. 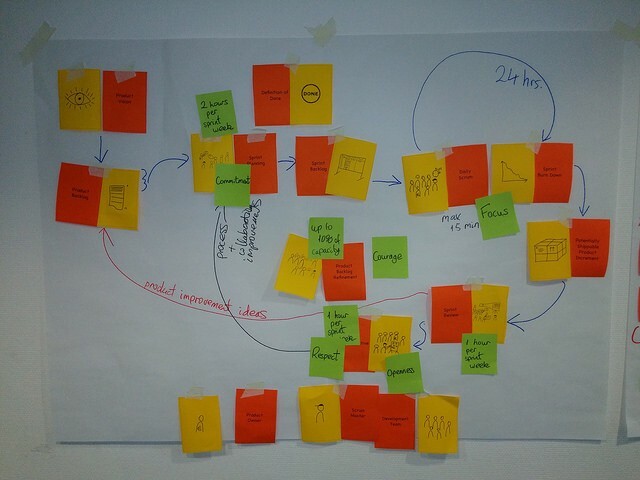 With Scrum you don’t follow a predetermined plan along the whole development process, but you find your way adapting to the new requirements and changes in the environment. Improving communication and co-operation. 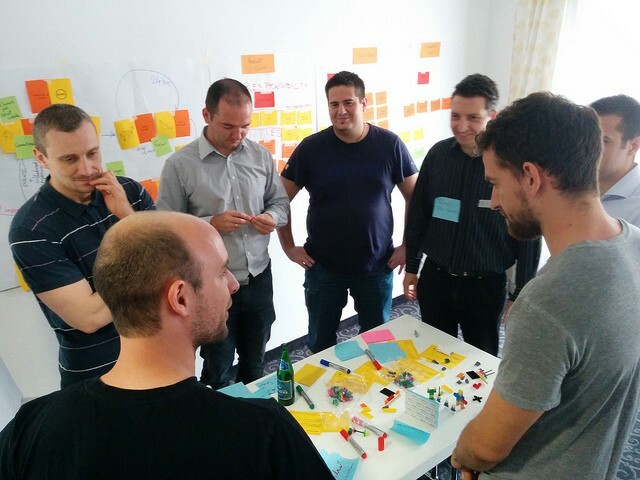 By holding regular meetings with various goals and encouraging all team members to express their opinion, Scrum helps the development team and managament to get a deeper understanding of the project. Involving clients. By inviting clients to regular meeting and presenting product increments piece by piece, clients can help creating the product vision and help planning for the future. Software development jobs often take a wrong turn wrong because the huge knowledge gap between clients and contractors. Scrum aims to bridge this gap. Maximizing productivity. 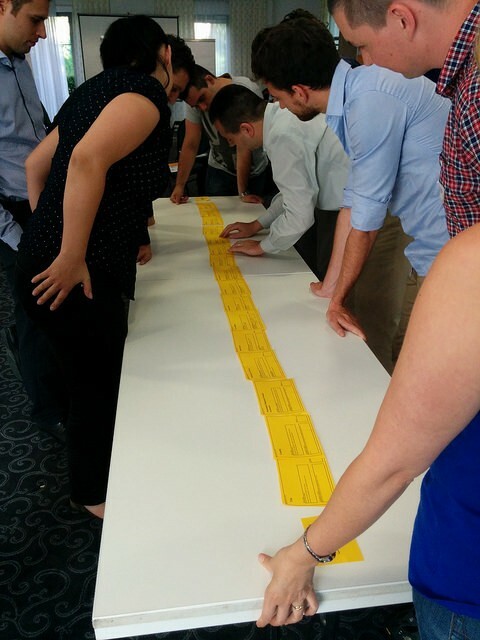 Scrum largely builds on team member’s self-organising capability and committment to a common goal. A ScrumMaster’s task is to make sure the system is working properly, facilitate the framework and make sure the development team does not face any impediments. So yeah… that would be me. See some photos below, taken in the course I took.